Inspirit your senses before the celebrations begin. 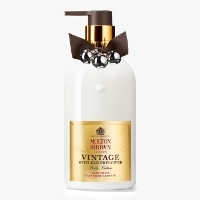 Having debuted in 2015 as "Vintage 2015," this seasonal collection is Molton Brown's self-proclaimed most refined offering yet. 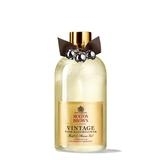 Effervescent grapefruit and English elderflower extract sparkle atop base notes of petigrain and vetiver. These scintillating notes evoke the extravagant spirit of the festive season, leaving you feeling pampered and beautifully scented. The fragrance is a love it or hate it unisex fragrance (with 'love it' being the more prominent response). 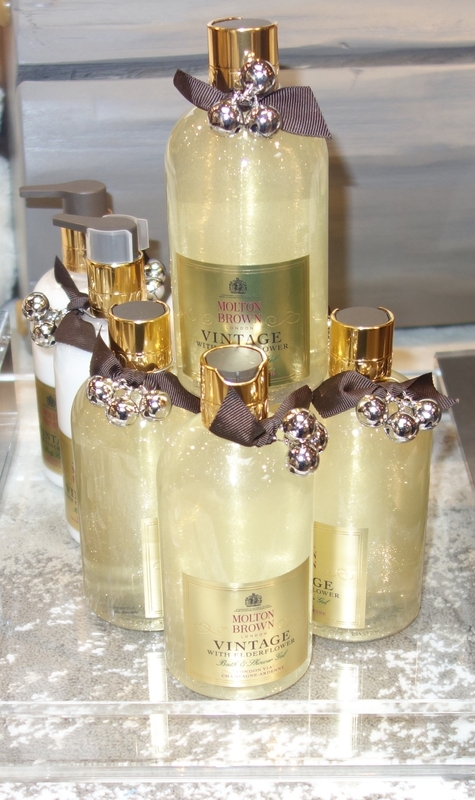 The special "Vintage" packaging and presentation makes these gels and lotions a great addition to any powder room.